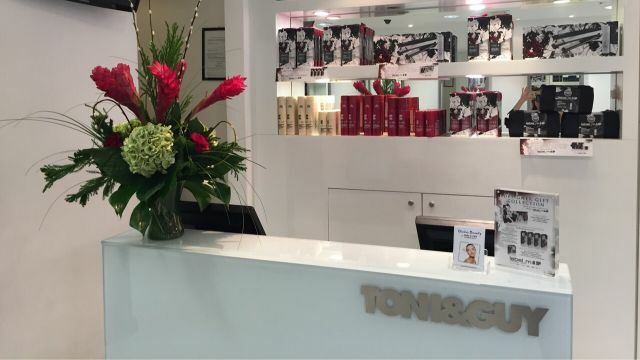 At Toni&Guy Hammersmith we aim to provide the perfect salon experience from start to finish, We have a highly qualified and experienced team of professional Stylist and Technicians ready to meet your individual needs. We take pride in our work on a daily basis and making sure all clients expectations are fulfilled. Our team look forward to welcoming you in to our amazing salon. I came for my haircut as usual. I left wondering what the difference was. I came home and could see no difference. £36 gone for nothing. Will not come again. Why are you closing the Hammersmith branch!!! Very sad to understand you are closing the branch. Luckily Alex is only moving to Westfield so not the end of the world, but still frustrating!! She’s unreal! Her cuts are world class, she’s lovely, couldn’t recommend her highly enough!!???????????? Thank you for your kind words Toby, Tiffany will be pleased to see your review, we hope to see you again in the near future. Always happy with Lauren’s service ! Hello Salome, thank you for taking the time to leave this review! we are so happy to hear that and we cannot wait to see you again in the near future in Ealing. Excellent service. Great team.. I have been a customer for 11 years. Devastated to learn that the salon is closing in 6 April. The staff there have always been so good, and so helpful. Will have to find another hairdresser in Hammersmith now. We thank you for your loyal support, unfortunately it is completely out of our hands. most of our staff will be moving to essentials ealing or westfield. Sabina is an awesome colourist, she really knows what she’s doing (despite my inability to explain what I wanted she managed to achieve it!) - also had my hair cut properly (meaning not just a trim) by her this time and am so pleased with it. She’s an all round gifted hairdresser and has a really nice easy manner about her. Thank you Emma, for taking the time to leave this review. Sabina will be delighted with your kind words and we hope to see you again in the near future. Great cut as ever. No wonder I will follow Lauren to the ends of the earth .. or Ealing as it transpires. Thank you Judy, for taking the time to review your time with Lauren. Thank you for your kind words and we shall see you in the near future in ealing. Sabina was, as always, brilliant! I came away feeling years younger, in spite of the grey hairs. Thank you Angela, for your kind words and taking the time to leave this review! Sabina will be delighted to see them. it is unfortunate we know, but hopefully we will see you in the near future in Ealing! First time I’ve had Tiffany - she was great - willing to try something different to good effect . Friendly and skilful - pity they are moving to Ealing soon! Thank you Mary, for taking the time to leave this review. Tiffany will be delighted by your kind words, once again we apologise for the slight delay in your appointment time, it can happen on a busy Saturday no matter how we try to avoid it. we hope to see you again in the near future! I had highlights and a cut. Sabina is amazing and im very happy with result. Thank you Athina, for taking the time to leave this review and for leaving such kind words, Sabina will be delighted. Alex is always polite, happy, professional and knowledgeable. It’s comforting to know that I can trust Alex’s skill and experience every time. Great attention to detail . Head massages are fantastic whilst the guys wash your hair, fab! Hello Candice, Thank you so much for your kind words and for leaving this review. We are so happy that you had such a great experience and we hope to see you again in the near future! Thank you Elvira, for your kind words. We hope to see you again in the near future! I wanted to do something different but he convinced me to his idea and he was right I never had that volume! I love it Thank you! Hello Mika, Thank you for taking the time to leave this review. We're so glad that you enjoyed your time with Iosu, he is a great stylist and we hope to see you again in the near future!